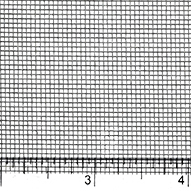 Wire Mesh Products Index | Welcome to Hillside Wire Cloth Co.
Hillside Wire Cloth Co. stocks a wide range of wire mesh. Here are our Wire Mesh Product Families. Each Product Family leads to its own page containing a catalog of Meshes from which you may select and purchase a specific Mesh Count, Wire Diameter, and fabrication metal. 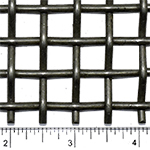 Market Grade Wire Mesh, our most commonly requested wire mesh, is a standard square weave mesh. Available in stainless steel, steel, bronze, monel, nickel, copper, and brass. 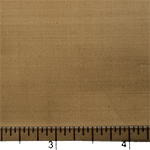 Market Grade wire cloth is a standard square mesh cloth available in wire sizes generally used for industrial work. 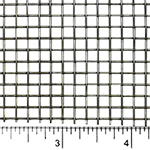 Extra Fine Wire Mesh, Same as market grade wire mesh, just finer, providing smaller openings. Available in stainless steel, phosphor bronze, monel, nickel, steel, copper, brass, titanium, silver, aluminum, galvanized steel, hastelloy, incoloy, nichrome, titanium, tungsten, and tantalum. 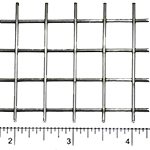 Tensil Bolt Wire MeshTensil bolt bolting mesh offers the highest percentage of open area available for the specific wire mesh listed. Specifically known for its smooth, durable finish, it is especially suited for food processing such as flour milling, sifting seed and feed. 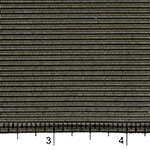 The smoother, polished surfaces of these screens minimize chances of clogging during operation. Available primarily in 304 and 316 stainless steel. Most commonly used in applications where market grade wire mesh is not substantial enough to maintain specific filtration ratings. The use of heavier wire in the warp direction is what enables our dutch weave to increase durability and offer filter ratings from .8 to 250 microns. Dutch weave filter cloth is available primarily in 300 series stainless steel. However, it can be provided in many other alloys upon request. Mill grade wire mesh is very similar to tensil bolt bolting mesh. The wire used in its production is thinner than what is used for market grade wire mesh. This provides a higher percentage of open area to process more product quickly with less binding. Mill grade screens, of tinned annealed steel or stainless steel, are especially suited for food processing applications such as flour milling and sifting, seed and feed sifting, etc. the smooth, polished surfaces of these screens minimize chances of clogging during operation. 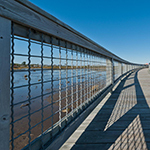 Our wire mesh infill panels are available in either woven or welded mesh and are manufactured to your specifications.Used frequently for segmented fencing, divider walls, pedestrian partitions, drop ceilings, catwalks and suspended walkways, and as the foundation for living walls and vertical gardens.